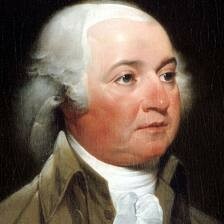 I chose John Adams because he was the best trade partner and was much in common with the English.He wasn't scared of a strong military.I liked how he felt that the Alien and Sedition Acts were established to protect our country against immigrants. I didn't chose Thomas Jefferson because he feared increasing military and he was against the Alien and Sedition Acts. Thomas Jefferson also took peoples rights away.